Previous Post Thoughts On My New Shirt? You ever wonder if we go-go-go too much and burn ourselves and our children out? My Steppy-son is always go-go-go at his Moms and when he comes to our home, he is always telling us when he is here that he can relax and breathe. 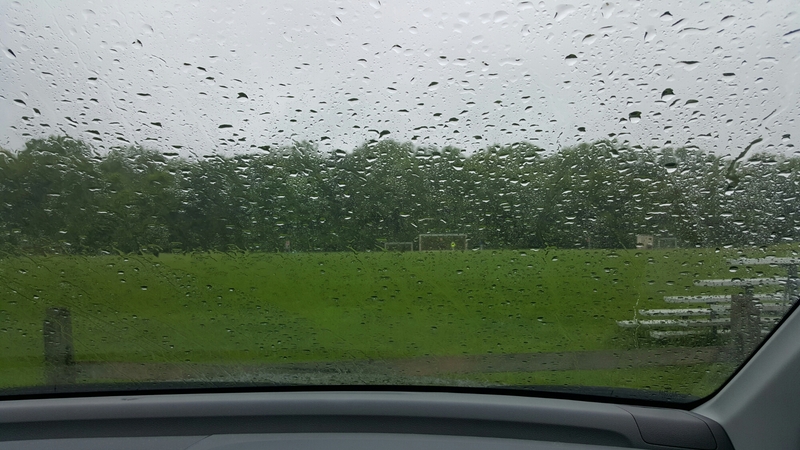 But to the topic of rain and soccer when the 17yo. played dreary chilly rainy days were the worst, I would pray for lightening…lol…not for anyone to be struck, but to cancel the game. I thought clarification on not wanting a kid struck by lightening was in order. Sometimes meaning is lost in the text. Covering bases…i.e. arse! I could not agree with you more on how this is just too much for our children. I saw it manifest in my son’s Behavior over the past week to 10 days. They were noticeably agitated. Thank you baby Jesus so that soccer is over with until next week when tryouts happen. Then conditioning and then the rat race again again. And I am so glad you clarified that for me because I was thinking you were totally wanting children to be electrocuted! Just kidding!